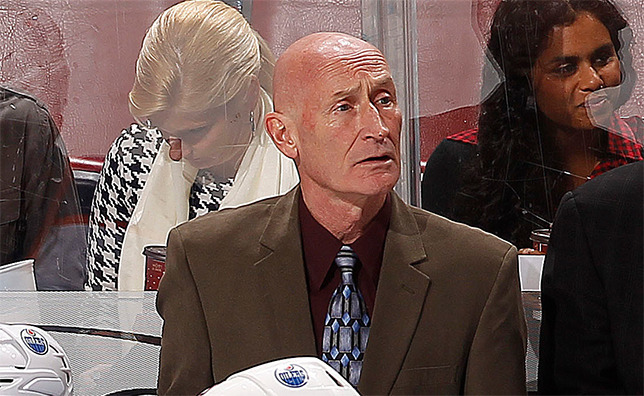 MONTREAL – Montreal Canadiens general manager Marc Bergevin, announced on Tuesday the appointment of Craig Ramsay as coaching consultant with the Club. “We are very pleased to welcome Craig Ramsay as coaching consultant. He has an impressive hockey background, having worked as an NHL coach for over 20 years, following a playing career that included over 1,000 games played. On a consulting basis, he will be called upon regularly during the season to share his knowledge with our coaching group. Our players will also benefit from his expertise”, said Bergevin. Ramsay, 64, has nearly 40 years of experience with seven different National Hockey League organizations. He was an assistant coach for 18 of the past 20 years, totaling over 1,500 games as assistant coach, and over 150 games as head coach in the NHL. In 2014-15, Ramsay was an assistant coach with the Edmonton Oilers. He also worked as an assistant coach with the Florida Panthers (1993 to 1995 and 2011 to 2014), the Boston Bruins (2007 to 2010), the Tampa Bay Lightning (2001 to 2007), the Philadelphia Flyers (1998 to 2000), the Ottawa Senators (1996 to 1998), and the Buffalo Sabres (1986-87). The Weston, Ontario native was the last head coach in the history of the defunct Atlanta Thrashers, during the 2010-11 season. He also took over as interim head coach in his debuts with the Sabres (21 games in 1986-87), and with the Flyers (53 games from 2000 to 2001). Ramsay etched his name on the Stanley Cup as a member of the Tampa Bay Lightning coaching staff in 2004. Drafted by Buffalo in the second round (19th overall) in the 1971 NHL Entry Draft, Ramsay spent his entire NHL playing career with the Sabres (14 seasons), appearing in 1,070 games and recording 672 points (252-420-672). He also added 48 points in 89 playoff games (17 goals, 31 assists). Ramsay had eight consecutive 20-goal seasons, and was selected to the 1976 NHL All-Star Game. He appeared in 776 consecutive games from 1973 to 1983, the fourth longest consecutive game streak in NHL history. He also won the Frank J. Selke Trophy in 1985, awarded annually to the NHL’s best defensive forward. Ramsay and his wife Susan have four children; sons Travis, Jad and Brendon and daughter Tristin.